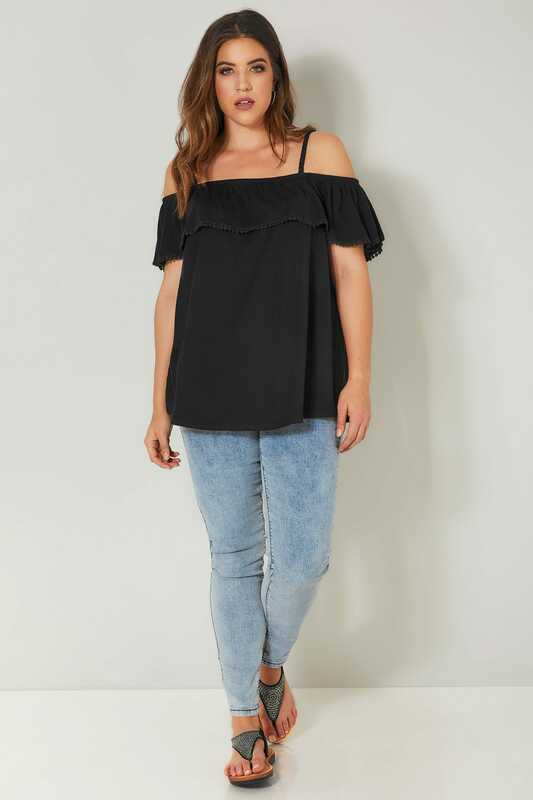 Add a versatile update to your wardrobe with this top. 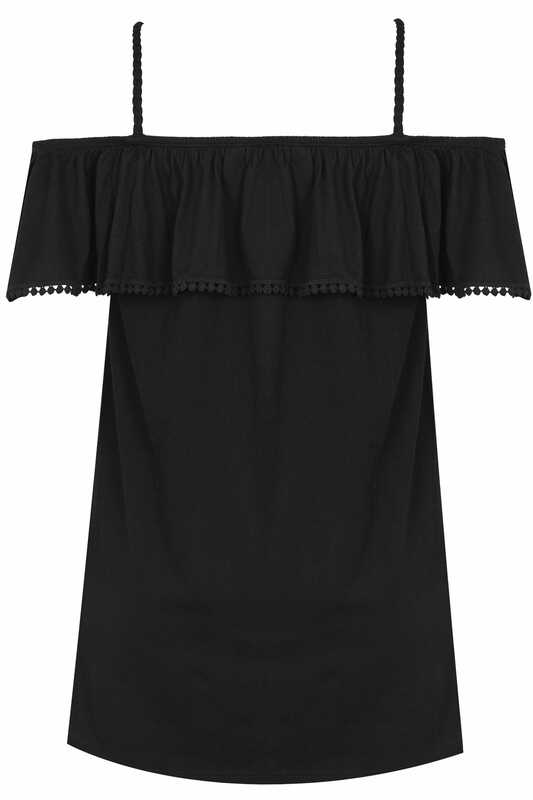 Made from a jersey fabric, its chic Bardot design features layered frilled detailing with a crochet trim for added appeal. Team with denim and flats for a pretty daytime look. 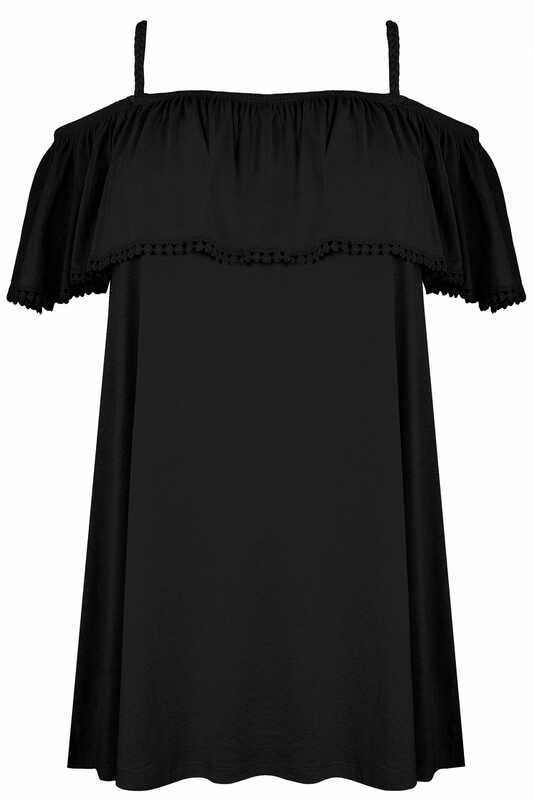 Easy-to-wear, it serves as a great styling piece.